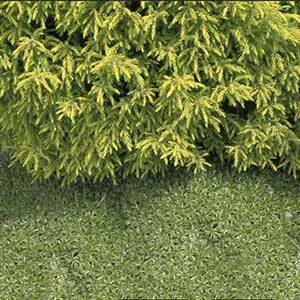 This is an unusual evergreen ground cover plant, Azorella trifurcata is grown for its deep green textured foliage. It is very low growing and requires little care or maintenance once established. Over time it forms a dense mat of foliage. It has a natural creeping habit, however it is a slow grower and in no way invasive in our garden. Good drainage is essential no matter what type of soil it grows in. It is not a plant that is suited to foot traffic. It does flower in summer with masses of very small yellow flowers. It makes a good alternative to Scleranthus biflorus as it is easier too grow. 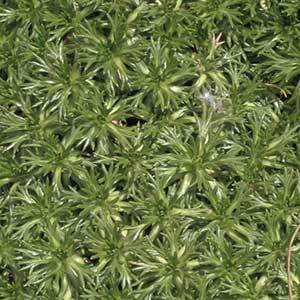 An excellent evergreen ground cover plant, use it in rock gardens, the general garden border or grow it in containers. Azorella trifurcata looks great when planted near rocks, it can be grown between pavers and can also be mass planted as a ground cover. Once planted this is a very low care plant. A little extra water through the first summer may be beneficial, however once established this will not be required in cool to temperate climates. Best by propagating by division of established clumps. A lower growing variety is identified as Azorella trifurcata nana. Common Names – Emerald Carpet, Cushion Bolax. Soil – Well drained sandy soils to humus rich. Spread – Will spread to around 1 metres over time. Flowers – Very small yellow flowers . Flowering Time – Mainly summer. Drought tolerant – Moderate to good. Azorella trifurcata is available for sale from the following nurseries.